It might not be the middle of the desert, but Patara Beach on Turkey’s Mediterranean coast is drawing great interest from tourists for its sand dunes that have provided opportunities for local tourism operators to launch horse and camel tours. “Tourists climb over the dunes on horses. These tours have drawn unbelievable interest. Some 25,000 tourists take these tours every year, but the number is growing with every passing day as the region becomes more famous,” said Bilgihan Bayar, the district governor of Kaş, a district of Antalya in which Patara is located. 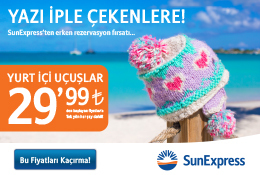 Bayar said camel and horse safari tours were being organized around the Saklıkent Canyon and the dunes in Patara. The Antalya Governor’s Office is aiming to develop alternative tourism projects in addition to the area’s sun, sea and sand triangle. Kaş is one alternative place that has drawn tourists to its ancient cities, rock graves and historic granaries. Excavations in the region have revealed that Kaş was one of the most important cities in the Lycian Union more than two millennia ago. 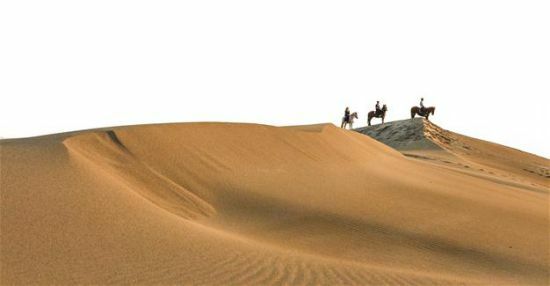 Many entrepreneurs in the region have begun organizing horse and camel safari tours, especially in the dune areas. The beach is also an important nesting area for caretta carettas and provides excellent photographic opportunities at sunset. Rock tombs are among Kaş’s important tourism draws. The tombs, located on bluffs in the İslamlar neighborhood, are popular especially for those who want to trek in nature. Listed on the UNESCO World Heritage list, the ancient city of Xanthos has become popular with foreign tourists thanks to these tombs and Lycian monumental pillar tombs. The ancient city still stands today, despite the numerous wars and incidents it experienced throughout history. Granaries which were built 350 years with inspiration from Lycian sarcophagi have also begun attracting tourists. Some 125 granaries, which are unique architecturally and lined with cedar, are currently being used as storages by villagers. Bayar said Patara was one of the important centers of the Lycian civilization. “Rock tombs were made in the cities for kings and opinion leaders in Lycia. Everyone carved a rock close to their home and buried their relatives with their belongings and clothes,” the district governor said. “These tombs were made with fine details. Tourists are surprised when they see the tombs. We give a lot of importance to these tombs in terms of alternative tourism. They get visitors excited. The granaries also draw the attention of trekkers,” Bayar said. The region has now been taken under protection, Bayar added.